We want your ticket buying experience to be as fast and easy as possible. Call or e-mail us with your questions and we will be happy to assist in seat selection, dates, or ticket prices. 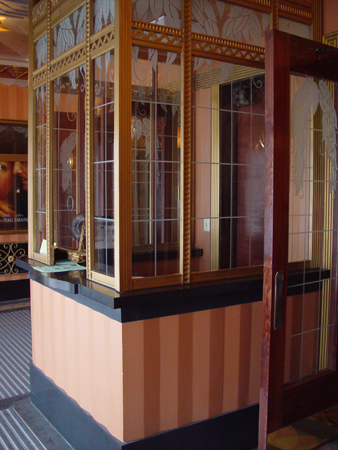 The Box Office is located directly to the left of the main theatre doors and is open Monday through Friday 9:00 AM - 5:00 PM, through showtime on weekdays, and two hours before showtime on weekends. For Fox Films the Box Office is located inside the main theatre doors and opens 7:00 PM Friday and Saturday, and 1:30 PM Sunday. The Fox cannot "HOLD" seats. Payment must be made at time of purchase. Everybody needs a ticket. This includes infants and toddlers. Tickets may be ordered and mailed or placed in WILL-CALL for pickup night of show. Tickets will not be mailed within ten days from date of event. Programs/artists and performers are subject to change. Click here for information about Season Ticket Subscriptions for our live season!